Less than three months after building work began on Wales’ first International Convention Centre, a major conference win has been announced at the venue, which is due to open its doors in July 2019. Alzheimer's Research UK Conference - the UK’s largest dementia research conference – will welcome dementia researchers from across the UK and internationally, and is due to be held at ICC Wales in March 2020. Ian Edwards, Chief Executive, ICC Wales, said, “Having played host to the 2014 NATO Summit and the Ryder Cup in 2010, the appetite for bringing prestigious events to Wales is already well established and we’re thrilled to be welcoming the Alzheimer's Research UK Conference to ICC Wales in 2020. As a brand new, state of the art convention centre, we’ve positioned ourselves as a key venue for major conferences such as this, and our location, size, flexibility and experienced events team all adds to our high profile in the events industry. The Alzheimer’s Research UK Conference will feature presentations from researchers and clinicians as well as opportunities to network and forge collaborations. The two-day annual conference provides a forum for researchers to hear the latest investigative findings into Alzheimer’s disease and other dementias – from discoveries in the laboratory to clinical perspectives. Alzheimer’s Research UK’s conference is growing year on year and as a result seeking out the best venues with dedicated teams to ensure the event plays a critical role towards greater success. Once complete in 2019, ICC Wales will provide total floor space for meetings, conferences, exhibitions and events of 26,000 sq m – the equivalent size to nearly four international rugby pitches. 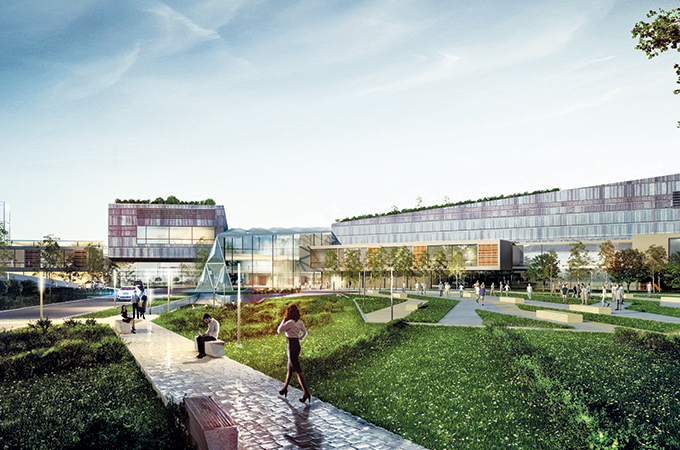 A $109.9 million joint venture between Celtic Manor and Welsh Government, ICC Wales will accommodate 5,000 delegates and includes a 4,000 sq m pillar-free main hall, a 1,500-seated auditorium, 12 flexible meeting rooms, a double-height glass atrium and a 2,500 sq m outdoor plaza.